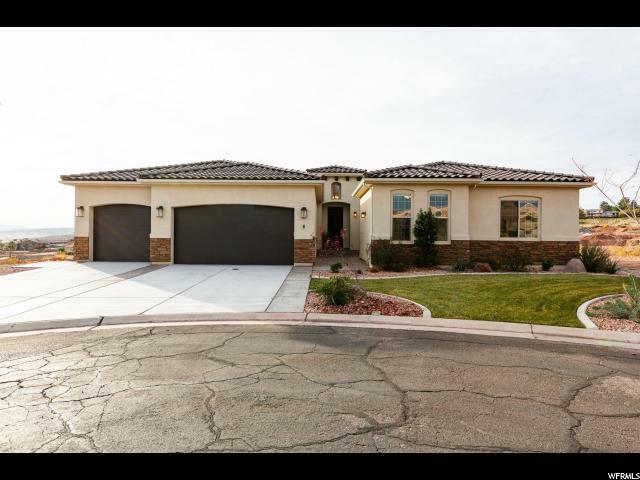 All CROWN POINT homes currently listed for sale in St. George as of 04/23/2019 are shown below. You can change the search criteria at any time by pressing the 'Change Search' button below. "New home with great views in gated Crown Point Subdivision. Bright & open with lots of window and modern floor plan. Beautiful finishes, wood floors, large master with walk in closet, huge shower. Two patios, 3 car garage. Seller has a bid for a wall. The home is built on piers, soils report, pier drawings & Wall Bid attached in documents. Buyers to build wall after closing if they desire one!"